1945 On the 7th of May General Jodl signed the act of unconditional surrender which ended hostilities in Europe. World War II was over. It is very doubtful whether the author of this family history was even remotely aware of the huge collective sigh of relief with which the Gibraltarians in Madeira greeted the news. I was, after all, only seven years old. 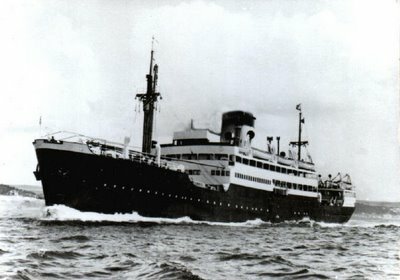 All available shipping was now used to transfer troops and equipment from Europe to the Far East where the war against Japan continued. The Gibraltarian exiles living in Belfast were now given a choice. They could elect to settle in Britain or wait in the army huts until shipping became available. About 2 000 elected to stay. The rest, some 10 000 souls, lingered on in Northern Ireland, some for as long as five years before returning home. In September the Repatriation Plan finally became a reality for the Chipulina family. The trip back was via Lisbon which we reached aboard the Portuguese steamer Carvalho Araujo. Showing my usual propensity for pronouncing words incorrectly, I thought the ship was called the Caballo Araullo, which I took to be Portuguese for 'prancing horse'. The weather on the way to Lisbon was quite unpleasant at times and my mother spent practically the whole trip lying in her cabin. In Lisbon we stayed at a pensao in Rua do Carmo, a steep hill in the centre of town just behind the much photographed public lift up to the Barrio Alto. At the time small pensaos of this type were required by law to serve a quarter of a litre of wine per day per person free of charge in order to boost the wine industry. Salazar was still dictator of Portugal at the time and his cronies probably owned all the local vineyards. I drank my first glass of wine as I sat with my mother waiting for lunch to be served in the dining room of the small hotel. It must have been cheap red plonk but to me the stuff was sheer nectar. It tasted strongly of grapes and belonged to that species of childhood memories that confirms the theory that nostalgia is what one eats and drinks when one is young. Photograph of a typically disapproving Maria Luisa Letts (2.4) taken in Lisbon. We then travelled to Elvas, then across the frontier to Badajoz, and on to Seville where we stayed for a few days. 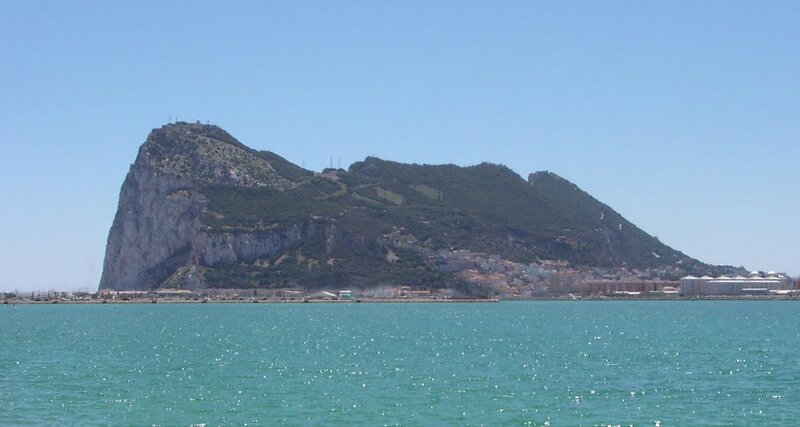 Then came the bus trip to Algeciras through well trodden hunting grounds and the final ferry back to Gibraltar. All along the way the ravages of the Civil War and Spain's political isolation were very much in evidence. General Marshall and his plan were still in the future. From the ferry the Rock looked much the same. But of course it was no longer the place we had left behind those four long years ago. On the 11th of May the Chipulina family had finally arrived back home. We returned to 256 Main Street and found that the top floors of the house were occupied by a middle-aged couple called Ferrary who were related to the Sacarello family. The rehousing of returning refugees was causing acute problems and the Ferrary family had been placed there by the Resettlement Board as temporary measure. The house itself was in a far more dilapidated state than it had been before the war. In one of the first floor rooms part of the ceiling had collapsed. The resulting hole was patched up with an upright wooden timber. Apparently one of the roof beams was rotting away making the place quite dangerous. The entrance was dark, dingy and more uninviting than ever. On the wall at the bottom of the stairs leading up to the first floor were the mains. The live-wires were uncovered and for a while one of my more exotic forms of entertainment involved giving myself dangerous electric shocks just for the thrill of it. For the moment general repairs, even normal maintenance, were out of the question. The family simply did not have the money. Various items recorded in my mother’s housekeeping book dated shortly after arrival are quite revealing. The first expense item is curious as it confirms that quite a bit of money was spent on haircuts. In those days there were innumerable Spanish barbers in Gibraltar. 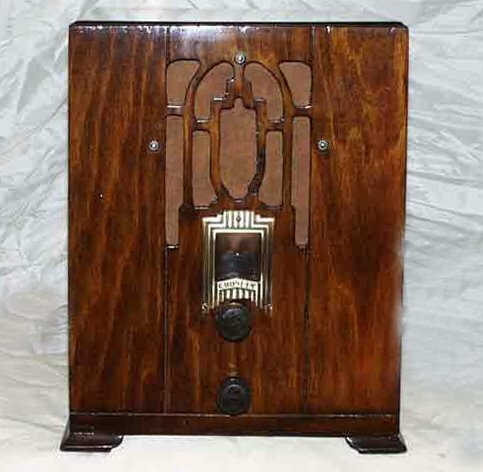 The last item refers to the fuel used by the primus stove in which the family did all their cooking. The Vacuum Oil Company, which was later to become the giant multinational Mobil Oil, had a horse-drawn tank that went round town selling fuel to households. 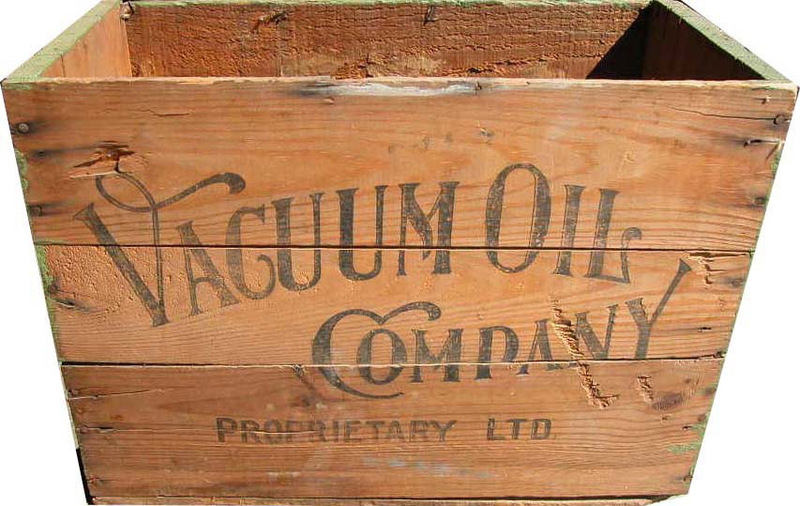 Vacuum Oil Company wooden box used for transporting tins of kerosine. The kitchen was upstairs and could not be used as the top part of the house was occupied by the Ferrarys. Ironically, most of the everyday living, eating, cooking, washing and so forth was done in the cuarto de vestir which was the room with the dangerous ceiling. Many foodstuffs were rationed and Lina was often forced to share out the more popular items so that everybody could have his or her fair share. 'This bit is yours for the week,' she would tell each member of the family as she scrupulously sliced the butter ration into exact segments. The butter, incidentally, was purchased from a grocer called Tribello whose shop was a few doors away from 256. He was a bald individual who wore bottle-bottom spectacles which always made him look rather vague. It was a rather inappropriate look for someone who was known to deal in under-the-counter black-market goods, albeit on a very small scale. Lina probably indulged in the odd extra half pound, whenever it was economically feasible. In summer the butter was left overnight in water inside an earthenware pot and cool drinking water was always available even in the hottest of summer days. It was kept in a traditional clay drinking pot called a piporro which had become somewhat slimy with age. 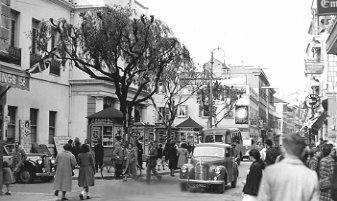 There was usually plenty of fruit, most of which was purchased, as in pre-war days, from the next door shop of Perez y Navarro. A rear window of the shop gave on to the patio of 256. It was covered with a small-gauge wire mesh to keep the bees off the fruit. During the hotter months there were always a few of them buzzing around hopefully. The entire length of Main Street, of course, was lined with shops selling every imaginable type of merchandise. The Port's duty free status usually meant that prices were often considerably lower than anywhere else on earth, especially where manufactured goods were concerned, and the overall narrowness of the street and the rather crude sales techniques adopted by many of the owners, quite a few of which were either Indian or Jewish businessmen, sometimes gave the place the atmosphere of an oriental Bazaar. A more or less contemporary photo of Main Street. 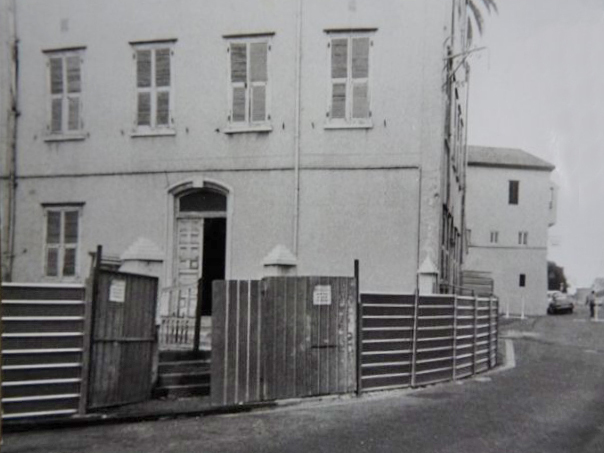 Two years later the first draw of the weekly Gibraltar lottery would take place in the building on the left just behind the kiosks. Several doors down from what had once been the Art Shop there was a shop owned by a local called Danan. He ran the shop with his two sons but somewhat eccentrically all three ran the business independently of each other. If, for example, you wanted to buy cigarettes, the chances were you might find yourself dealing with the wrong Danan, who would refuse to serve you and would immediately direct you to the appropriate member of the family. One day when the fleet was in port and Main Street was packed with liberty men, Eric happened to be passing by. There was Danan senior standing by the door of his shop waving a newspaper at the passing sailors. 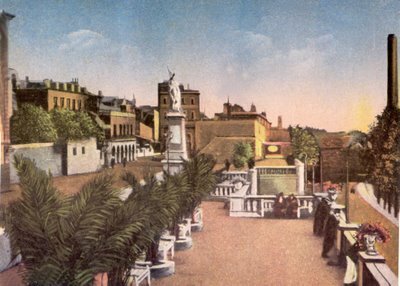 The names of the various trading establishments in Gibraltar were a hotch potch of the exotic, the banal and the internationally famous. There were English, Spanish, Jewish and Indian sub-continent names often somewhat incongruously joined together. The Fox and Hounds, Attias the Tailor, Liptons, Galliano's Bank, The Emporium, Kichinchand Chellaram; this last name was often sung by schoolboys to the opening bars of a well known bullfight pasodoble. All this to the utter disgust of Kinchinchand Chellaram junior who happened to be schoolboy contemporary of mine at one time. 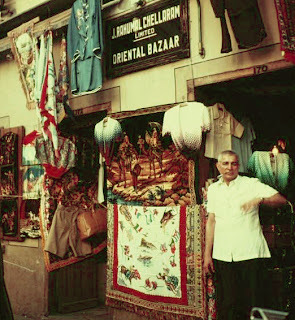 Chellaram's Oriental Bazaar. Probably owned by somebody in Kinchinchand's family. By June Maruja was teaching at Line Wall which was then a girl's school. Her first Head Mistress was completely incompetent and given to interrupting classes at the most inopportune moments to give the girls lessons in diction. The girls watched.... in amazement. The day she retired, her filing cabinet and desk were found to be full of free samples from various suppliers including a large number of mouldy chocolate bars from Cadbury. It was during this period that Federico Sacarello, one of my father's many cousins, took to walking past the school at regular intervals, presumably on his way to and from work. As Federico was an exceptionally handsome man, all the female staff at Line Wall made it a point to be somewhere near a window when he strolled by. For unknown reasons the teachers called him 'Flo'. An abandoned Line Wall School. It would later become a boys school. It was known by the locals as La escuela los pyjamas because of the striped uniforms used by the pupils. Meanwhile Eric had got himself a job as an apprentice journalist in the Gibraltar Chronicle. His salary was £1.10s 0d a week. Before the war the Chronicle had been a somewhat dreary semi-official organ. During the war however, the Forces had virtually taken it over. Most of the staff had been people in uniform who had been professional journalists in civvy street and they succeeded in giving the paper a face-lift making it look like a mini Daily Mail. Eric seems not to have been too impressed and left after about a month to join the Army Post Office as a temporary clerk. His new salary was £1.15s 0d a week. On the 6th of August the U.S. dropped the first atomic bomb on Hiroshima. In case the Japanese had missed the point they dropped a second one on the 9th on Nagasaki. In September the Japanese signed a formal surrender to the U.S on board the battleship Missouri in Tokyo Bay. Atom Bomb Dome, Hiroshima Peace Memorial Park. 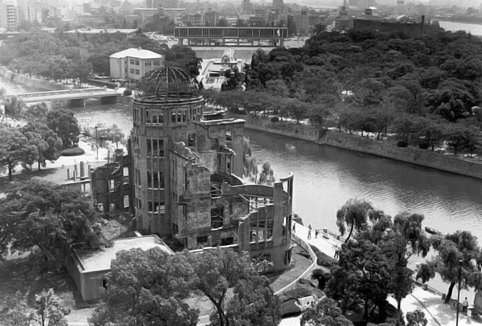 Maintained as a reminder of the power of atomic weapons. In Gibraltar, the City Council was reconstituted with a long-awaited local majority of one elected member. Joshua Hassan, leader of the AACR became the Mayor of Gibraltar. Emboldened by these and other political events, a deputation was sent to Westminster to suggest that the Rock should be integrated with the U.K. There were precedents. At that time, Algeria for instance, was administered as if it were a department of mainland France. The suggestion, however, was not taken up by the British Government who probably considered it both psychologically and politically naive. Instead they offered the colony a new constitution. This was actually a step backwards from the recently reconstituted City Council and the people of Gibraltar almost unanimously rejected the proposal. 1946 The year began with The Times carrying an article on Gibraltar which had this to say on the Governors of Gibraltar past and present: 'The method of selection of the Governor, by appointment of a general whose career has earned him a high appointment or a baton, for neither of which a vacancy existed, cannot be said to conduce to the progressive treatment of colonial problems.' It was such an exquisite way to put it. Next came the Colonial Annual Report for Gibraltar showing the civilian population at 21 233. The figure included 1 964 aliens, mostly Spanish. There was also a United Nations resolution which isolated Spain from the rest of the world. 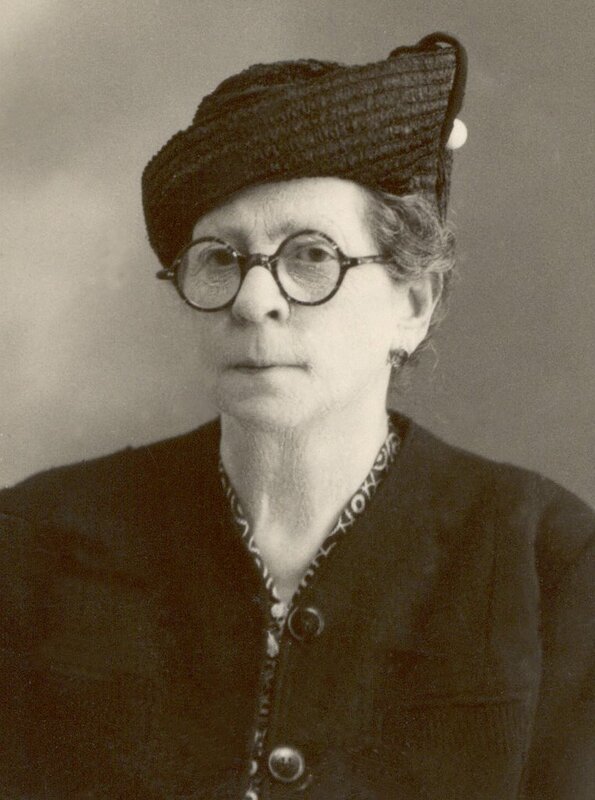 Maruja moved schools and joined St. Margarets Secondary Modern at Plata Villa. Her girls were not exactly la creme de la creme. Eventually the Ferrary family moved out of the top floor of 256 and the Chipulinas took over the whole house. The Ferrarys left behind their piano. Lina had learned to play while at the Loreto Convent, and in her youth she often accompanied a friend of hers who had a good singing voice. Nevertheless neither Baba nor Eric ever heard her play the thing. Despite being asked by both of them, she always refused claiming she was far too rusty and nervous. The real reason was that it made her sad and impossibly nostalgic. There was one occasion, however, when I managed to convince her. She was rather hesitant at first and seemed to have had difficulty reading the score. But she soon gained in confidence and after a while I could recognize the melody of one of those ever popular waltzes. She had probably once been technically quite good but was now, as she herself had acknowledged, far too rusty to do herself justice. Old pre-war Crossley Radio. Ours was slightly smaller.